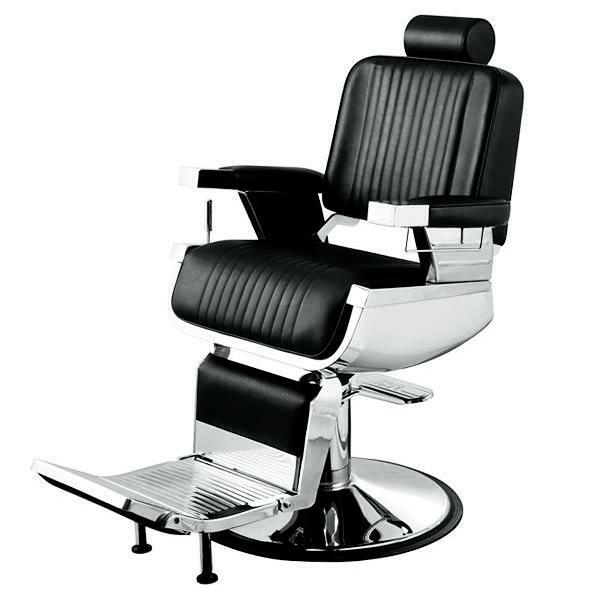 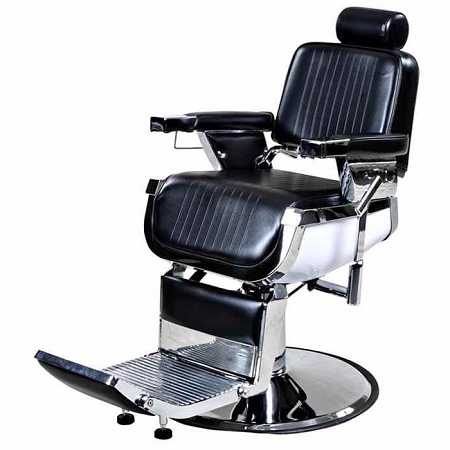 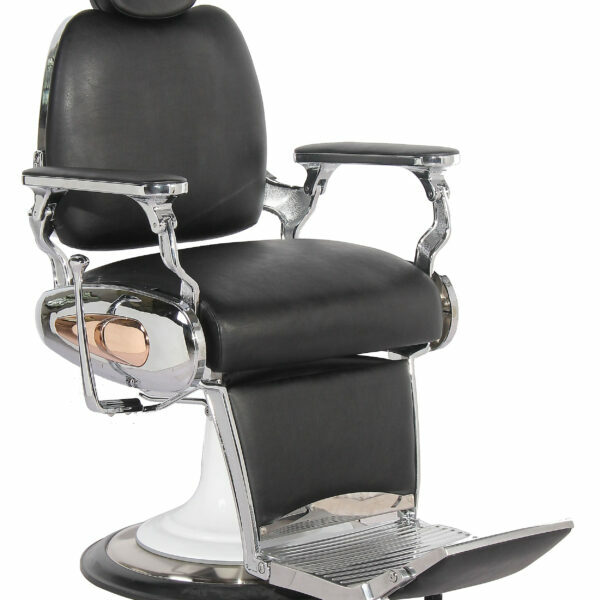 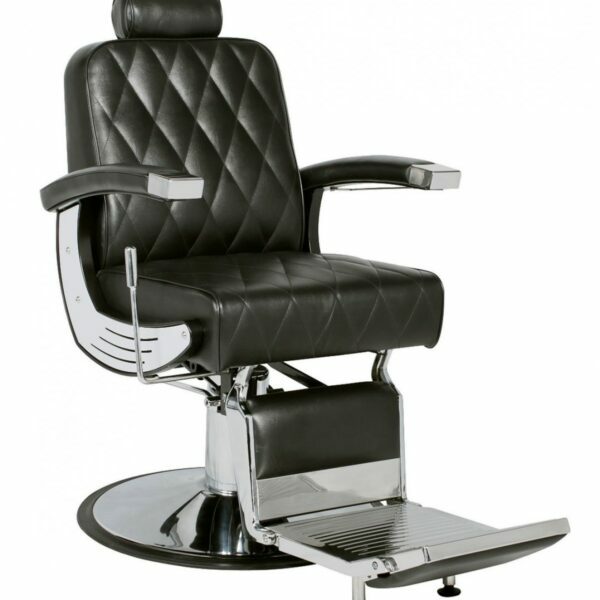 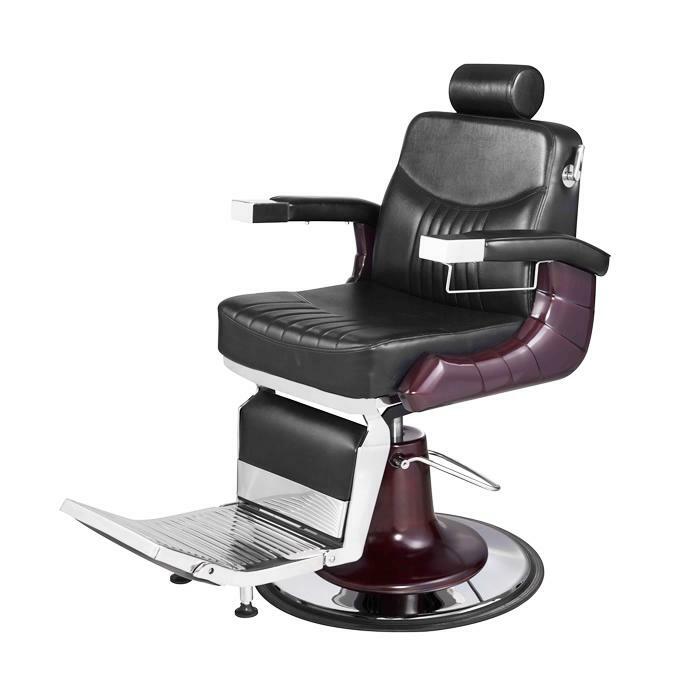 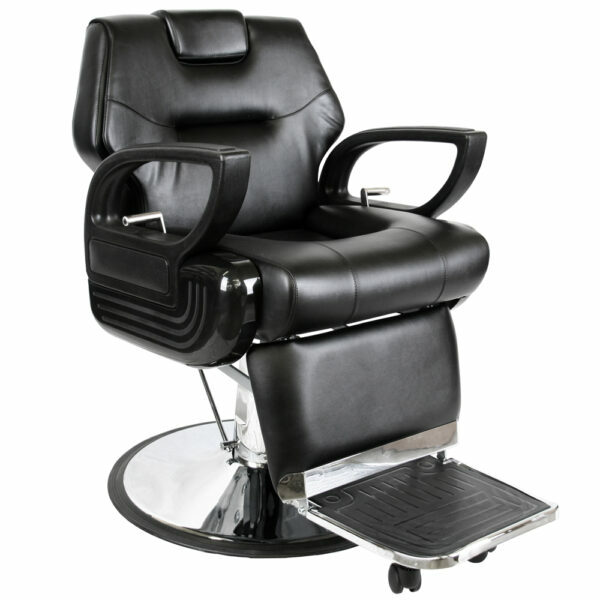 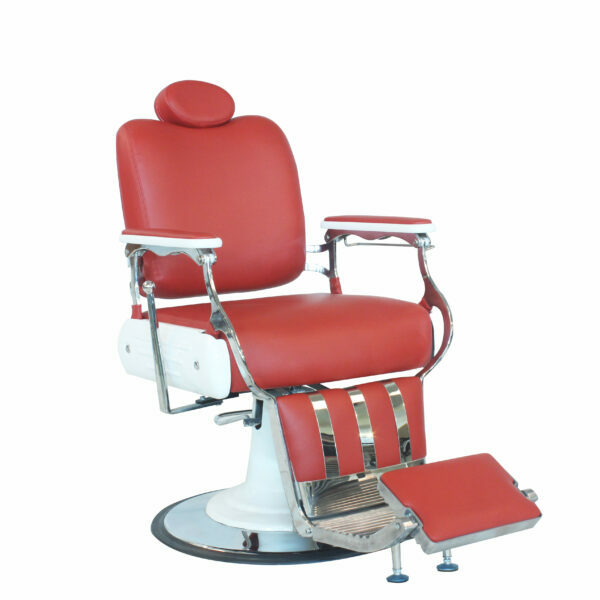 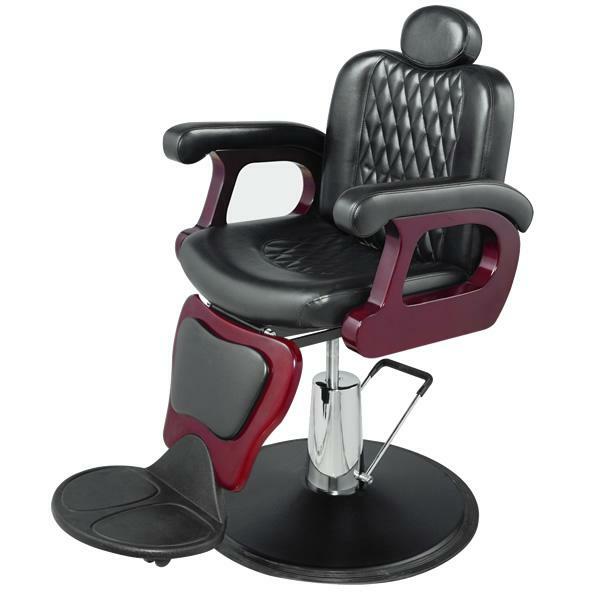 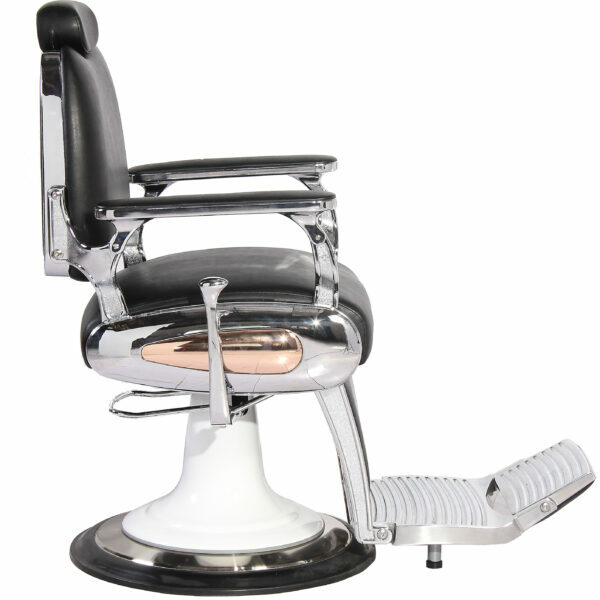 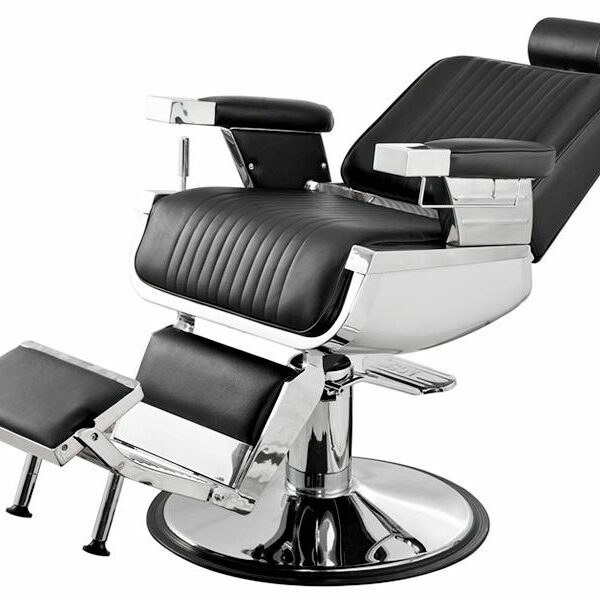 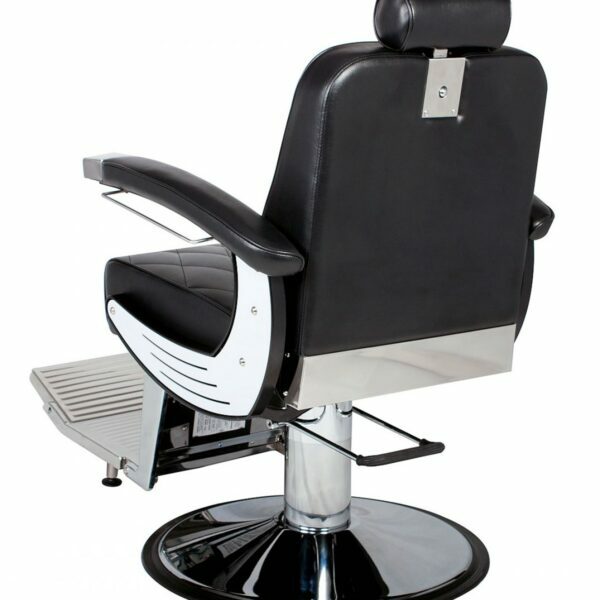 This retro inspired barber chair come with 3 colors and 3 year warranty with more features. 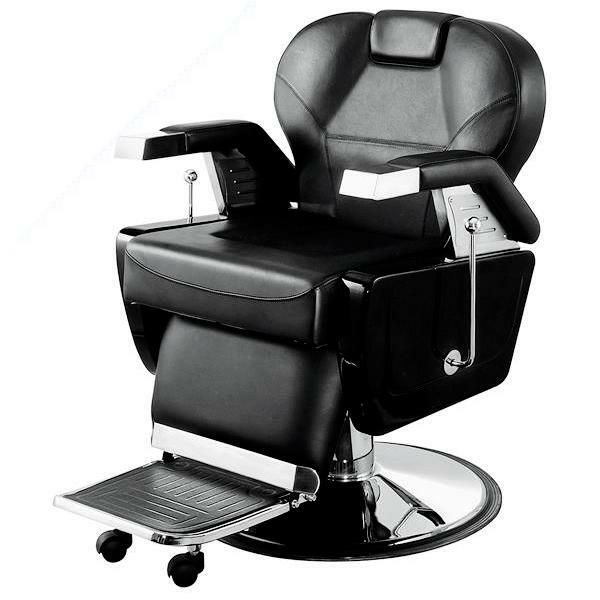 It features spacious seating with extra thick seat and back cushions offering great comfort for clients. 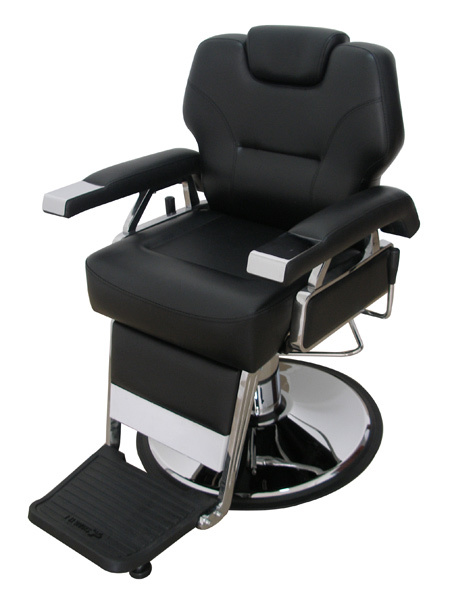 The back is reclinable with an adjustable headrest. 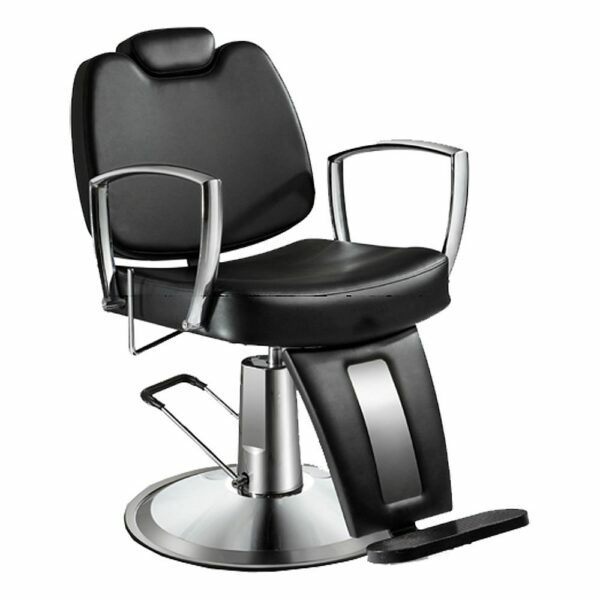 To ensure its stability, the chair consists of heavy duty metal and extra large round base to have the chair well balanced.